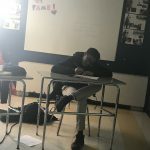 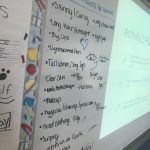 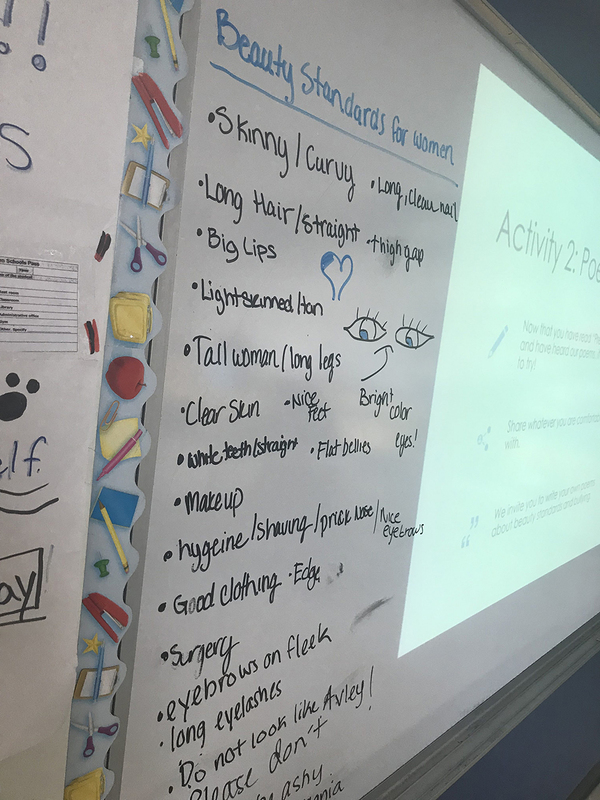 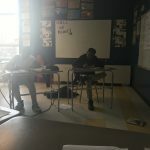 This lesson focused on beauty standards and bullying, and we showed the girls various types of bullying that people face because they were labeled too fat or skinny. 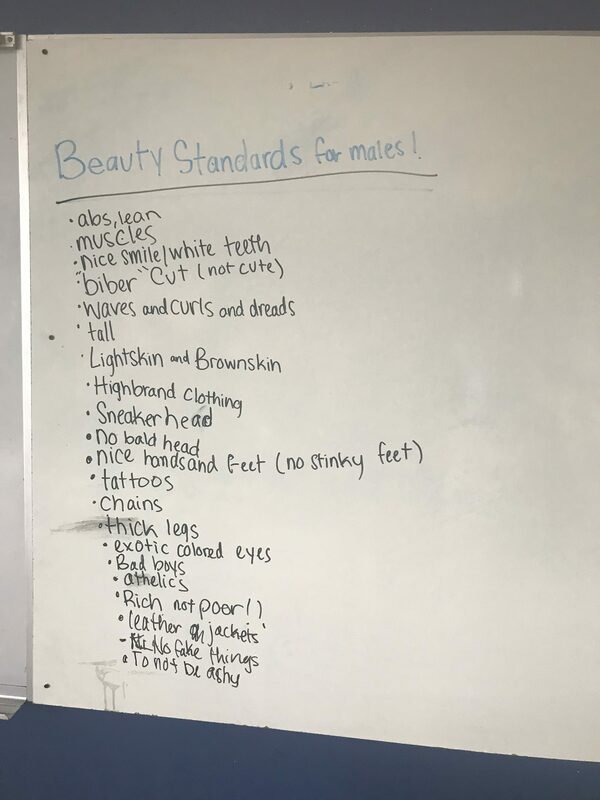 We listened our beauty standards for both men and women, and talked about what bullies target the most. 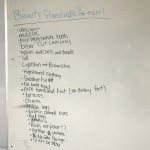 We read the Pretty Ugly poem both ways, and us CTs made our own poems about beauty standards. 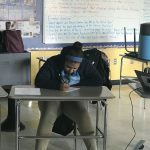 We ended with the girls writing and sharing their own beauty poems. Each week, we show the girls a new topic related to bullying so that they can have more insight on what they want to focus on for their video.